Think You Know Pilates Reformer? Think Again. 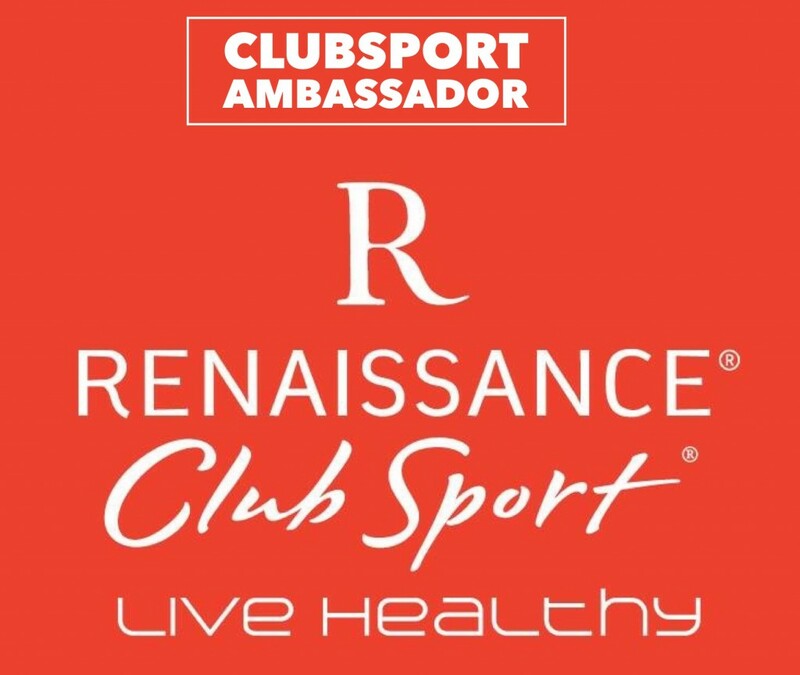 Q & A with Renaissance ClubSport. Springs, carriages, ropes—say what? I recently stumbled upon Pilates Reformer at Renaissance ClubSport, and I’ve found the form of fitness fascinating. The mechanics are unusual, and the ‘contrology’ works you from the inside out. Now I’d heard of Reformer before, and I thought I had an idea of what it was, but really I had no clue. To shed light on the fab form of fitness, I caught up with Pilates guru Stephanie LeBlanc, who teaches Reformer at Renaissance. Below is our exclusive interview chat for OC Mom Magazine. OC Mom Magazine: Do you find people think they know what Reformer is, but they really don’t? Stephanie LeBlanc (pictured below): Definitely! People think they are just going to go stretch for an hour—or they think the Reformer is only used for rehabilitation. There is so much people don’t get. OC Mom Mag: So what exactly is Pilates Reformer, and why don’t people know more about it? Stephanie: Reformer is all about breath, concentration and control, as well as centering, flow and precision. It works from your insides out, tones muscles like crazy, improves your posture and balance and it increases flexibility. OC Mom Mag: The mechanics are pretty unusual. Stephanie: They are. Pilates Reformer includes a sliding platform that is made more or less resistant by adding or removing springs. A system of cords and pulleys provides another means of resistance. You can perform very basic to highly advanced movements in virtually any position on the reformer, with selected resistance. And certain stretches, such as those for the hip flexor, simply can’t be duplicated on any other apparatus. OC Mom Mag: It’s the exercise of Kate Hudson, Jen Aniston and other Hollywood hot bodies, no? Stephanie: Yes. Everyone wants a Reformer body—tight, toned, long, lean, and strong! Here is a quick Instagram look at Pilates Reformer in action, while I practiced recently at Renaissance. Click the pic to play (then click to stop). Working on the abs today @renclubsport. Pilates Reformer is so precise. #RenSportReformer #ClubSportAV #livehealthy #rcav #pilatesreformer #ocfitness thx for the coaching @beespilates! OC Mom Mag: So why don’t more people do it or know about it? Stephanie: Because usually it’s in some closed-off room at a gym that most people don’t have access too. The machines are locked up in a special studio when not in use, so you can’t just go try it out like everything else on a gym floor. OC Mom Mag: Yeah, it’s that often-dark room at the end of the hall at Renaissance that I see people in, but I never know what they’re doing. Stephanie: I know, right. We joke about that: the dark, secret room, nobody knows about. The Club has four Reformer machines (they’re very exclusive), you have to reserve your class ahead of time, and outside of classes, the room is always locked, because Pilates Reformer is very specific and you have to seriously know what you’re doing, or you can get injured. It took me a year to get certified to teach versus, say a Pilates Mat class or a lot of other fitness classes, where instructors can get certified in a weekend. 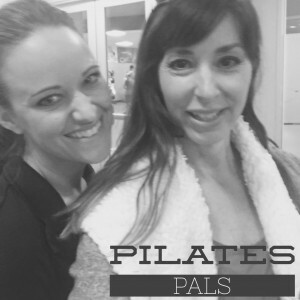 OC Mom Mag: It’s crazy how specific Pilates Reformer is! The detail, the exactness, the form! It’s kind of like it ratchets-up your inner everything one movement at a time. I’m getting addicted. Stephanie: Yes, it works you like nothing else. OC Mom Mag: I love the way it sculpts the arms and can’t wait for the abs! Stephanie: For sure, and arms and shoulders are the sexiest thing—my favorite! OC Mom Mag: So why do you think people must finally try Pilates Reformer, or maybe try it again if it’s been awhile? Stephanie: Well, Pilates is a lifestyle, not a quick fix. They should do it because it makes them feel amazing from the inside out. It corrects posture, delays osteoporosis, relieves back pain. It teaches people to move from the right place allowing you to push themselves in other workouts and maintain optimal quality health. People often try it only after someone they trust has told them about it. It is an additional-fee class, but it’s so worth it, and there are many affordable packages. OC Mom Mag: Is Pilates Reformer on-trend, like say the boot-camp craze, barre or nightclub-like Spin classes? Stephanie: It’s not trendy, it’s traditional. Naturally, there are a few trendy Pilates studios out there, but I think the “trendy” studios are bringing more eyes to the of the benefits of Pilates. 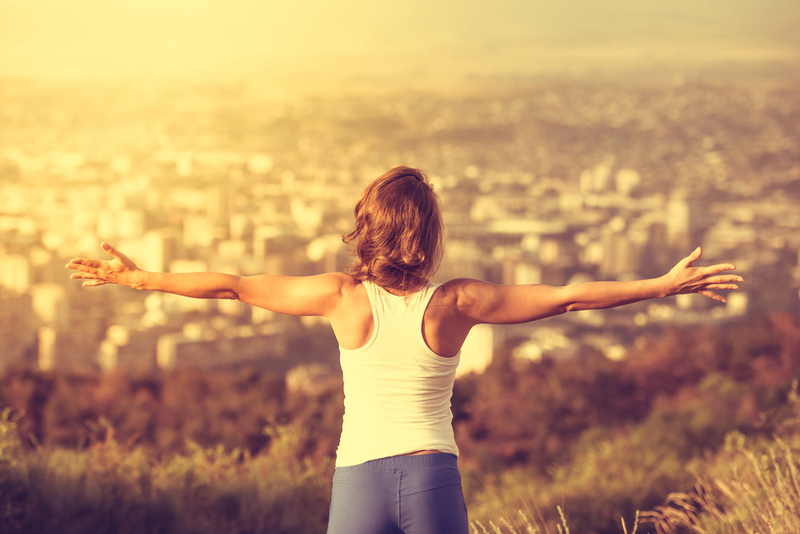 More people are now gaining clarity of the benefits and are more open to learning about their bodies, as well as eager to have a safe, effective workout. OC Mom Mag: When I started perfecting the movements—really thinking about each directive—I couldn’t believe it. I’m hooked. Stephanie: It’s true. Pilates is such a deep thought-provoked exercise that the fundamentals are where the results are. Take that away, and there is no functionality in the movement. Once you feel that, it’s easy to get hooked. Thanks, Stephanie! See you in class. Ready to give Pilates Reformer a try? Renaissance ClubSport offers a free introductory class (Monday nights and Saturday mornings). And I’ll also be hosting a Reformer Open House at the Club in March (a 2-hour demo class with the Club’s instructors + light refreshments—non-members welcome). For more information on Pilates Reformer classes at Renaissance ClubSport, located in Aliso Viejo, visit the Club’s Activities Desk or call (949) 330-5560. 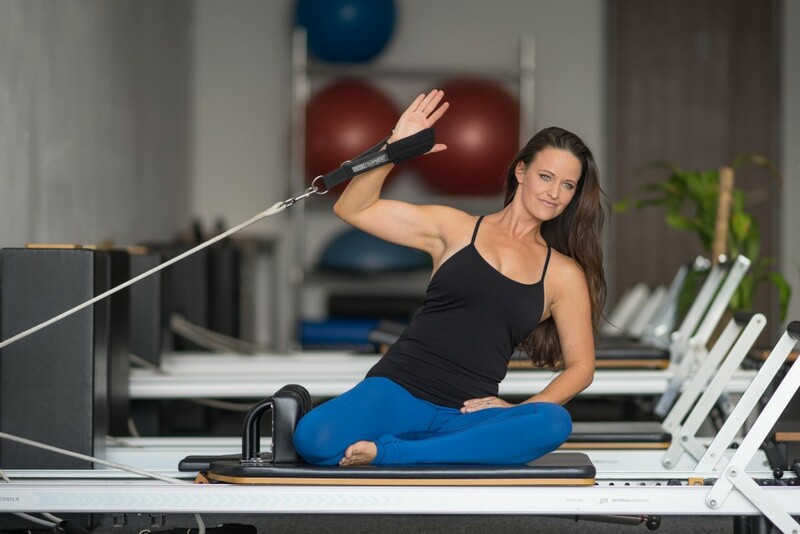 More About Stephanie LeBlanc: Stephanie holds a comprehensive certification through Power Pilates, a classical, systematic, and integrative approach to Joseph Pilates’ original teachings. She is also a Certified Pilates Method Alliance instructor. She has continued her education through both Power Pilates and Stott Pilates, blending the classical and contemporary styles. These combined methods enable her to provide well-balanced, modern workouts. She specializes in catering to each client’s individual needs, and understands that no two bodies are the same; they all deserve special attention. Stephanie is committed to helping her all achieve ultimate health, and believes everyone deserves a high quality of life, good health, and happiness. 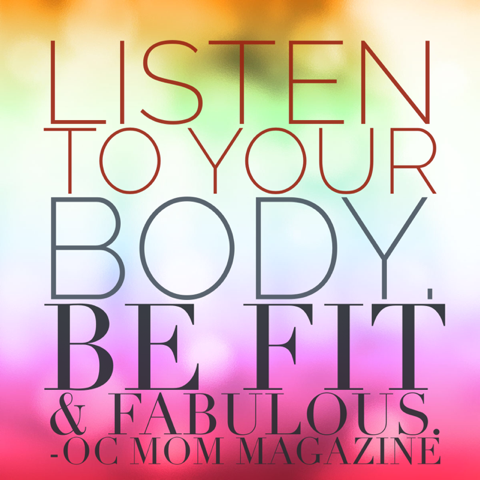 This story is one in a series for the OC Mom Magazine column, “Listen to your body. Be Fit & Fabulous” by Debbie Lavdas. More Fit Fab always ahead.